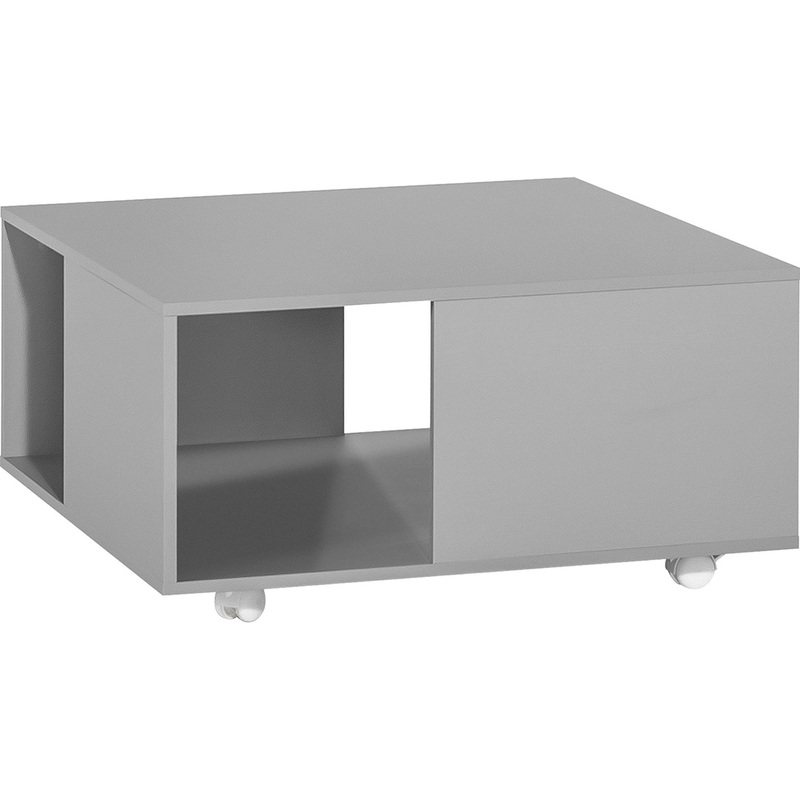 The 4You Coffee Table - Grey with its open shell mounted on casters is ideal for entertaining and family fun in your lounge area. 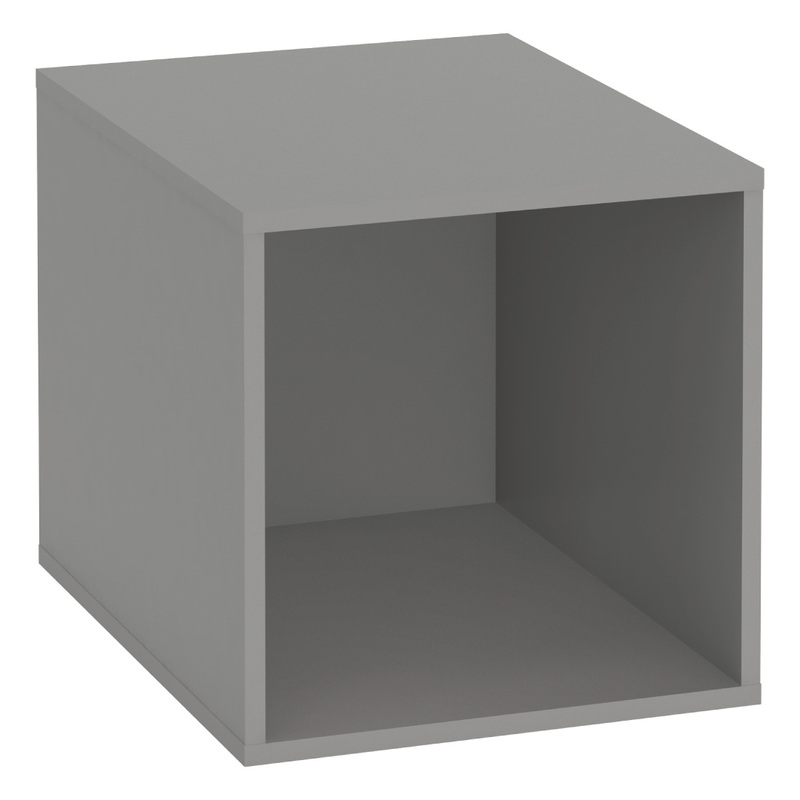 It has a modern design with a large square top and four cubed openings that can be utilized for storage or decorative purposes. This imaginative mobile piece of furniture has caster wheels with a locking function, so you can easily move it and place where needed. The open alcoves under the top may be filled with colourful 4You Boxes designed for the collection (available separately), to provide decorative accents or to use for storing newspapers and books. 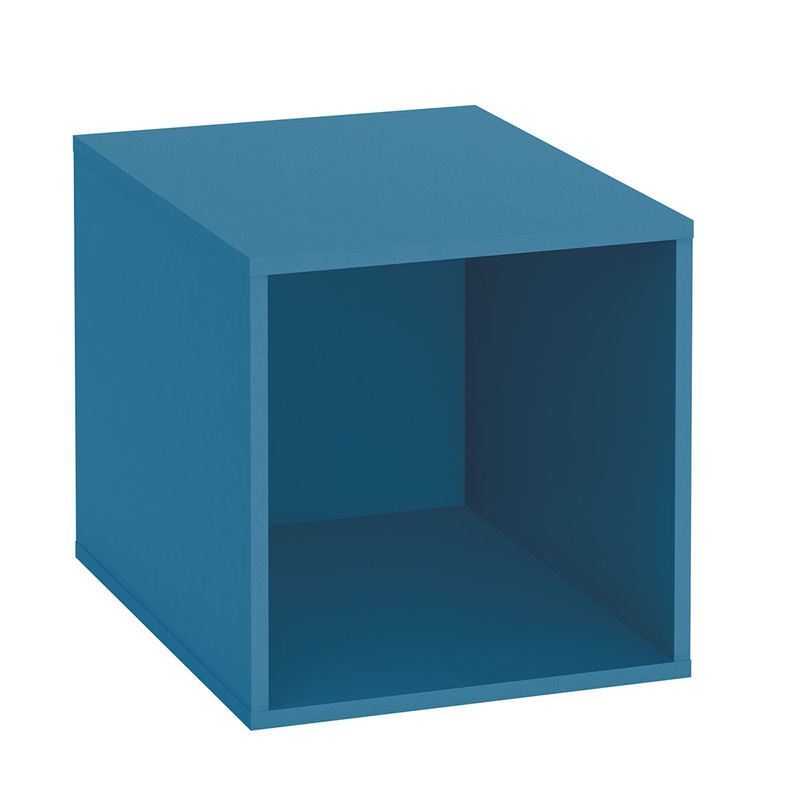 Four large boxes fit the openings (31.5cm x 31.5cm x 41cm) and are available in the 4You range's complementary colours of Teal, Charcoal, Light Grey, Oak or White. 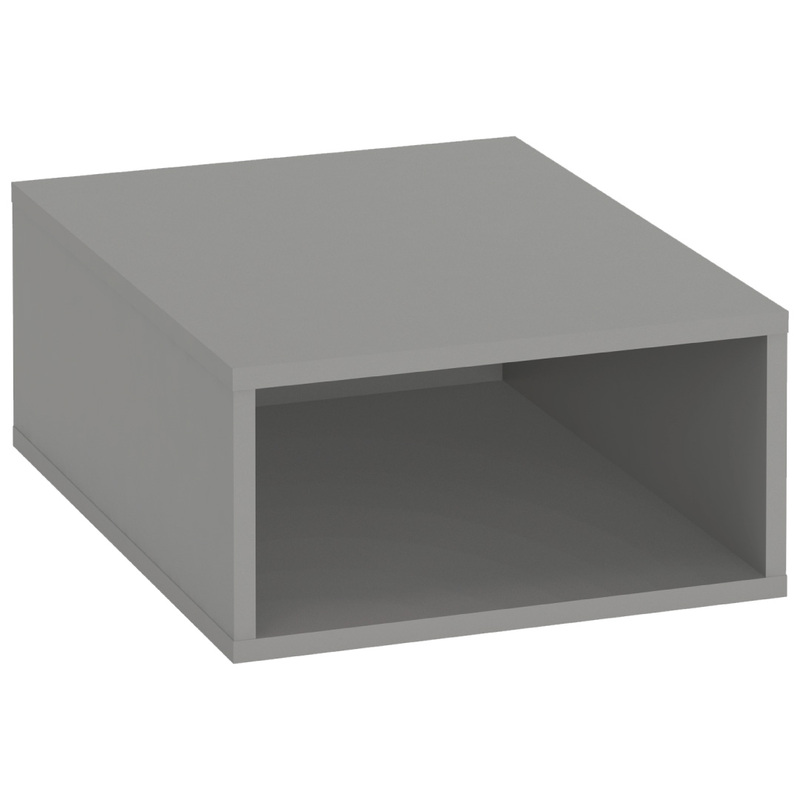 The small boxes can also be used - two small ones instead of a large one fit in a single alcove. 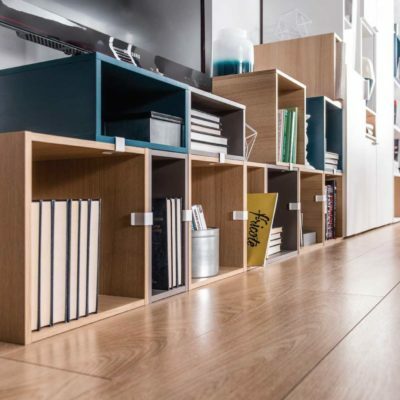 The modern laminated board surfaces are resistant to damage and damp and easy to keep clean. 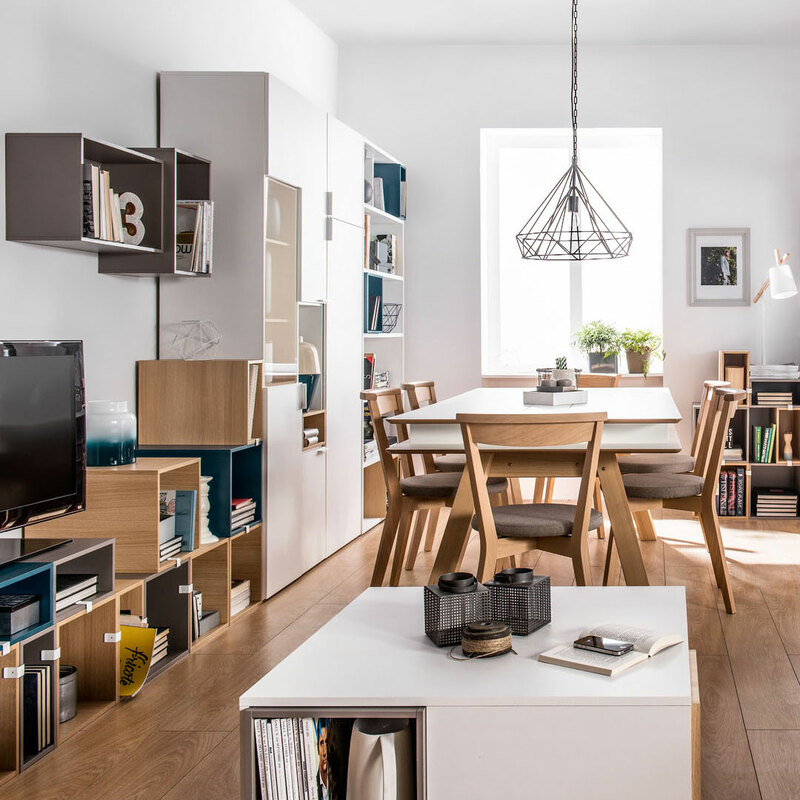 The 4You Range by Vox features clean-lined design and clever functionality. 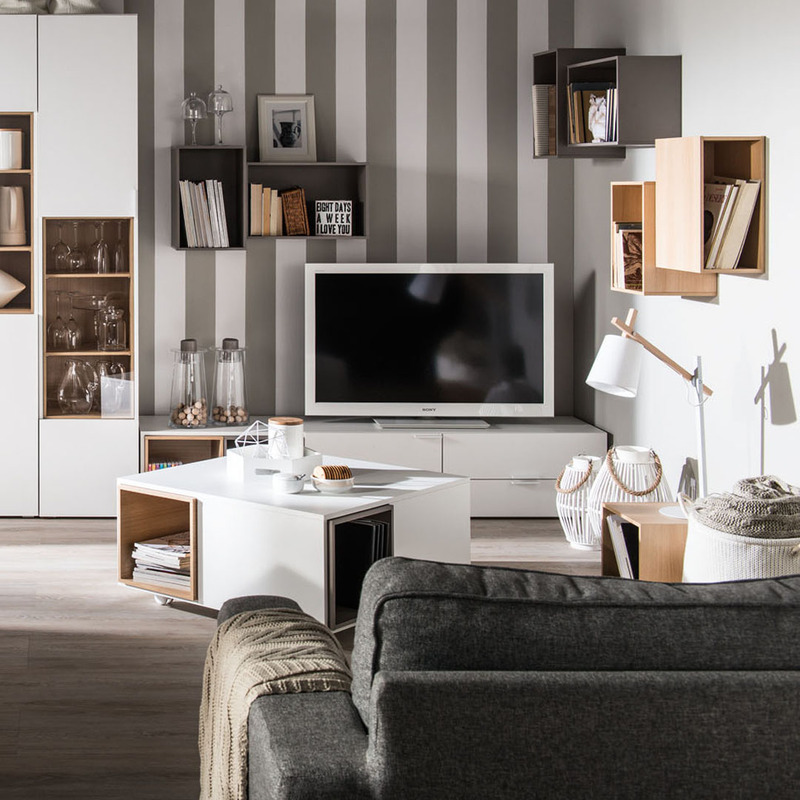 These unique furniture pieces embody inspiring creativity and a perfect arrangement of space. Resistant to scratching and damage, and easy to keep clean.